When Theresa May called the general election in April the polls were showing a lead for the Conservative Party of up to 20 points. It looked certain that May would get a much improved majority in parliament. However, during the course of the campaign the Conservative’s lead almost evaporated as Theresa May’s popularity declined. This resulted in the Conservative’s losing 12 seats and their slim majority rather than gaining the large mandate May had expected. Why did this happen and what does the result tell us about the nature of marketing campaigns and strategy? Before announcing the election Theresa May had repeatedly said she would not call a snap election. May indicated that she had the mandate for Brexit, the economy was strong and even the Labour party supported the triggering of Article 50 in the commons. However, by calling an early election May created uncertainty about her motivations and whether the future was so positive. The psychologist Professor Alastair Smith from New York University has studied the outcomes of UK general elections since 1945. He suggests that calling an early election is like playing poker with the electorate. Smith suggests that people understand that prime ministers have access to information about future prospects that the rest of us don’t have. Calling an election early may be a sign that they are trying to conceal information (e.g. Brexit might be a disaster) and expect to see their popularity decline as a result. He argues that more competent governments are in less of a hurry to call an election and so it is less confident prime ministers who call snap elections. We should not have been surprised then that Theresa May’s popularity and her party’s lead in the opinion polls declined. Indeed, Smith’s analysis indicated that the larger the governing party’s lead in the polls at the time of calling an election, the greater the likelihood that their popularity would fall during the campaign. People understand that major sponsorship or advertising campaigns cost a lot of money and take a long time to recoup the investment. This is known as costly signalling. It demonstrates a brand’s intentions to be around for the long term. Just as calling an election early shows a lack of confidence in future prospects, brands that fail to support their product launches or marketing campaigns with a reasonable level of advertising or sponsorship spend are indicating a lack of confidence in their ongoing success. From day one May used a few core sound bites to communicate the essence of her proposition. ‘Strong and stable leadership’ and ‘coalition of chaos’ were May’s main messages that were almost immediately turned into memes by opposition supporters. Psychologically people hate uncertainty and so voters might seek strong and stable leaders to manage instability and uncertainty. However, the strong and stable message was purely an emotional appeal to calm and orderliness, while the ‘coalition of chaos’ aimed to create fear of a Labour government. The Conservative’s slogans therefore lacked a rational element. They were further undermined by May’s behaviour including her U-turn on their social care policy and her refusal to take part in live TV debates with other leaders. In addition, May communicated her messages in an almost robotic way and so struggled to demonstrate emotional intelligence. This resulted in May being referred to as the “Maybot” in the media. By contrast Jeremy Corbyn ran a more enthusiastic and engaging campaign around changing the status quo and looking after the majority rather than the wealthy minority. His slogan ‘for the many, not the few’ was an anti-establishment message that may have benefited from recent political movements. Although his message was criticised by some commentators as potentially turning off the more affluent voters, it resonated with natural Labour supporters and clearly reflected Corbyn’s own political principles. No one could accuse Corbyn of not living according his slogan as it is something he has campaigned on since he first became a Labour MP. Emotional arguments resonate strongly with our fast intuitive mind (see System 1) and can be very persuasive. However, this does not mean that rational argument should be forgotten. It is important to align implicit motivations with rational benefits (explicit goals) to avoid conflicts between our different decision making systems. When brands create slogans and messages to support the value proposition it is important to provide evidence to support such communications. However, it also necessary to create policies and behaviours within the organisation that demonstrates a commitment to these same values. Otherwise customers are likely to see such messages as soundbites that don’t reflect the real values of a brand. Theresa May decided to make the Conservative campaign primarily about her leadership. 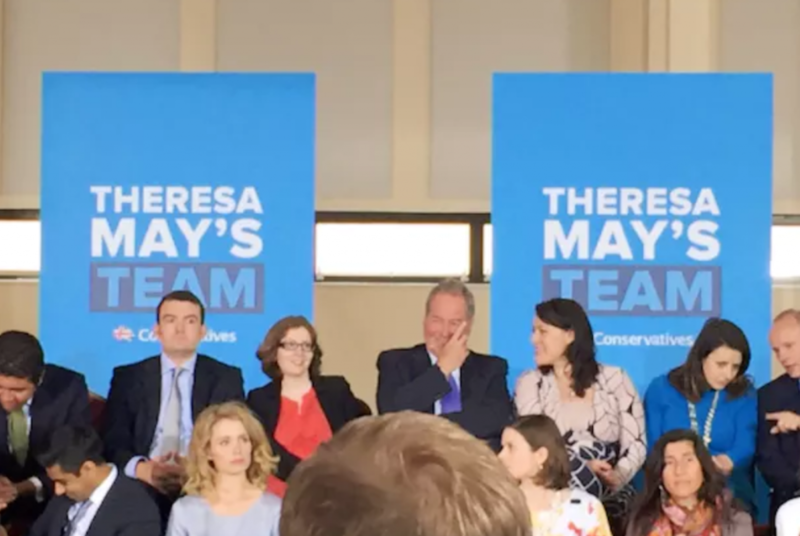 This presidential style campaign meant that at rallies and in ads the headline was ‘Theresa May’s Team’ and the Conservative Party was relegated to a small footnote at the bottom of the banner. This was a big departure from the norm in the UK and highlighted how she wanted to focus on her leadership compared to Jeremy Corbyn. However, as the campaign developed and U-Turns and wobbles were observed this back-fired on the party. Positioning it as a presidential campaign highlighted that May was not as nimble or empathetic as she needed to be to play this as a strength. Brands that strongly associate themselves with an individual person, whether they are a celebrity or a business leader, run the risk of being damaged if that person’s popularity or reputation declines. Celebrity endorsements can be a powerful marketing tool, but few brands successfully build themselves around a single individual. Richard Branson has achieved this with Virgin, but he clearly demonstrated that he had the necessary charisma and personality to develop such a brand. Theresa May positioned her campaign on the basis that it was about Brexit. However, what she failed to understand was that Brexit was largely a protest vote. It reflected many issues, including concerns about immigration, being left behind by globalisation, a London-centric economy and declining incomes. In contrast Labour focused on policies that directly influence people’s lives such as the NHS, education, police numbers and rail nationalisation. These issues resonated much more strongly with people and took the focus away from Brexit. As a result Labour were able to project a much more positive and meaningful campaign. Listen to customers and conduct qualitative research to better understand what motivates them. Don’t assume you know what is important to customers as often this is off the mark because of our own perceptions of the world. We get too close to our brands and products and can fall foul of the echo chambers we construct around ourselves. If you need to understand more implicit motivations or responses to your messages explore using implicit research techniques rather than conventional methods of research. When Theresa May created a manifesto only a small inner circle of was involved in the discussions. Small groups that lack diversity and insulate themselves from dissenters are very prone to groupthink. This is a psychological phenomena whereby groups make poor decisions because there is pressure to conform and ignore information that contradicts their decision. This creates an illusion of invulnerability and over-optimism which means they are willing to take unnecessary and extreme risks. Ensure diversity in group decision making by recruiting people with a wide range of experience, cultural and gender backgrounds and cognitive ability. Re-frame disagreement as a necessary and helpful characteristic of teams and encourage all team members to contribute their thoughts, ideas and opinions. Don’t be too prescriptive when briefing a problem and avoid quickly criticising other ideas and attacking other team members for ideas that contradict the consensus. Use market research and data analytics to provide scrutiny for ideas and generate fresh insights. Prospect theory tells us that people prefer a small, but certain loss to a small risk of a much larger loss. Thus, people prefer an 80% chance of a certain small loss against a 5% chance of losing everything. Because of this bias, the dementia tax as it become known was political suicide as it attacked the property owning class, many of whom are natural Conservative voters. It created a concern in voter’s minds that if they were unlucky enough to get a long term illness and needed care they might have to give up all but £100,000 of the value of their house after their death. It was almost irrelevant that if they didn’t need long term care their assets would be safe. After he resigned, Nick Timothy, Theresa May’s special adviser admitted that it had been a mistake not to include a cap when they launched the policy. This would have limited the potential loss and may have made the policy more acceptable to voters. Remember loss aversion is a powerful motivator. Focus more on avoiding losses rather than making gains. Guarantees and money back offers help to eliminate the concern that a choice may lead to an unacceptably large loss. In spread betting for instance automatic stop losses eliminate the potential for unlimited losses that would probably prevent most people considering this kind of betting. 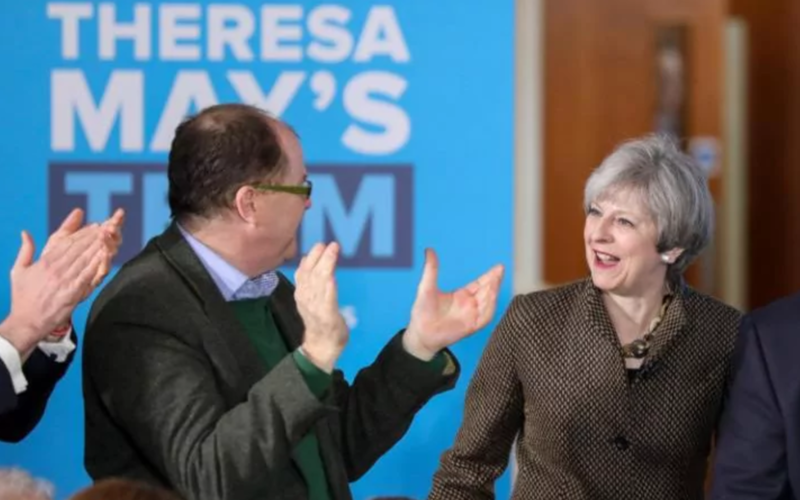 Theresa May failed to communicate a positive reason to choose her campaign. The campaign was characterised by warning voters about the consequences of not giving May an increased majority and the possibility of Jeremy Corbyn getting into power. There was little to promote in terms of positive benefits for voting Conservative. Remain voters in particular who weren’t in a constituency with Liberal Democrat candidate capable of winning were faced with all options being bad (see prospect theory). When people are in a situation where all outcomes involve a loss people become risk seeking. The status quo is usually perceived as the safer choice and so Corbyn would have been more appealing as he represented the riskier option. People buy benefits rather than features. Position your brand positively with a compelling proposition rather than trying to undermine your competitors. Identify important implicit (psychological) goals to differentiate your brand and get an emotional response. But don’t forget a strong rational benefit is also important. Before the EU referendum Theresa May had been on the remain side, though some had criticised her for a lack of enthusiasm. After the referendum result and especially once she became prime minister May become an ardent advocate of Brexit. Further, May had repeatedly said that she had a mandate for Brexit and there was no need for a general election before the end of the fixed-term parliament. Of course she then called a general election. This lack of consistency created anxiety among some voters that May could not be trusted to keep promises. Consistency and the appearance of consistency is a highly valued personality trait. People who are not consistent are often referred to as two-faced or untrustworthy. This was compounded May’s U-turn on her social care policy when she introduced a cap after it was heavily criticised and then claimed “nothing has changed”. Commitment and consistency can be used by marketers to persuade visitors to undertake a desired behaviour. Lifehack.org is a lifestyle and well-being site that publishes ideas for self-improvement. When a new visitor lands on the site they are served a pop-up asking the user if they would like to “try something different today. Don’t stay stuck. Do better.” If a user clicks on the “I agree” CTA they are immediately served an email capture form with the heading “We think so, too!” Because these visitors have agreed to the first question they feel almost compelled to provide their email address to show consistency of behaviour. Consistency is also important in branding and design. Using consistent branding and design principles can help communicate a professional and user-friendly customer experience. Being consistent with established web conventions also allows users to navigate according to experience and reduces cognitive load. The result of the 2017 UK general election should be a lesson to us all that we should not take our customers for granted. Customers respond to how people in organisation behave according to social norms and expectations that are influenced by many complex factors. We should avoid behaviours that are inconsistent with promises we make as this creates anxiety and damages trust in our brands. Trust is critical for any relationship or transaction and so we should protect it at all costs. It’s easy to make assumptions about what we think people want and how they will react to decisions we make. To prevent costly mistakes we should invest in research and insights to improve our understanding of customers. 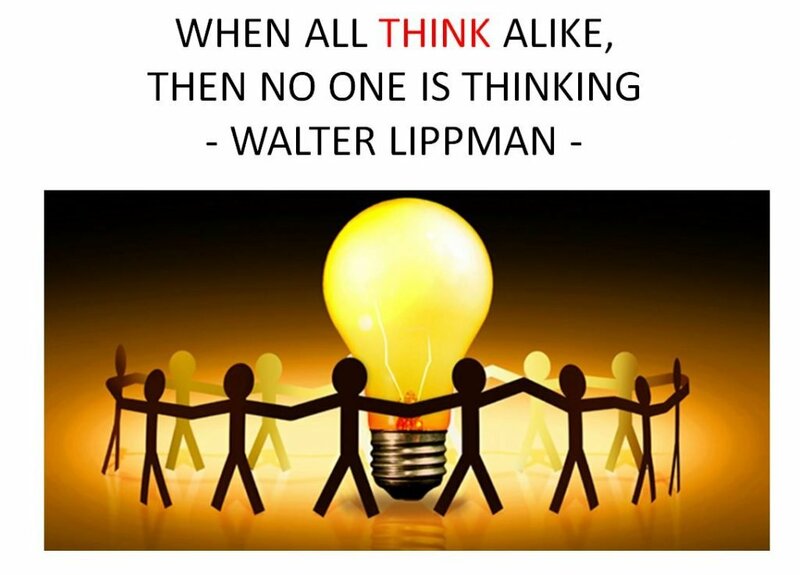 Take action to avoid groupthink when making decisions. Encourage news ideas and look for information that contradicts your decision rather than just that which confirms it. People are more concerned about losses than gains. Framing an offer as a potential loss may make it more appealing than promoting it as a gain. Avoid situations where all choices are perceived as bad because this can turn customers into risk seekers. In digital marketing we have the advantage of being able to run experiments through A/B and multivariate testing. By developing a culture of experimentation we can learn how customers respond to changes in the customer experience before investing resources and money into a change. This helps to ensure resources are directed to where the biggest impact can be made.